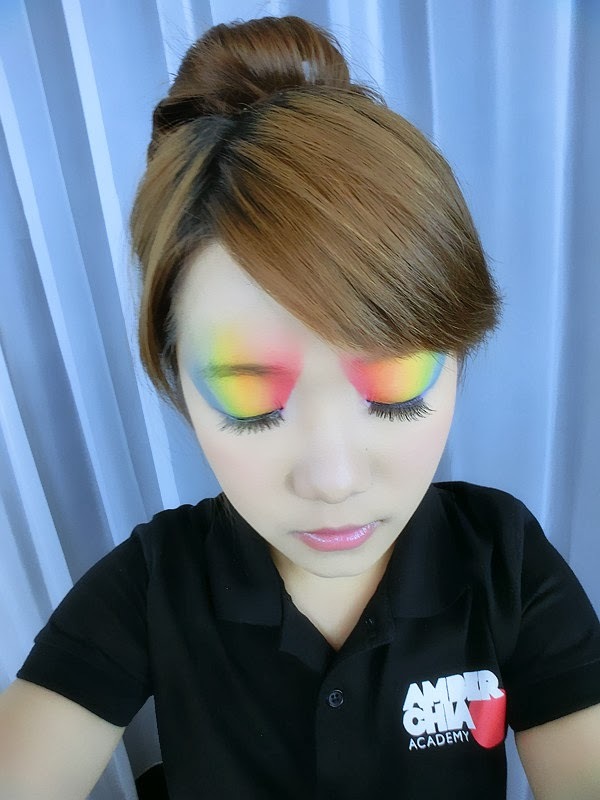 I always play safe with brown eye shadows as it looks much more natural. I will be trying out more colors as I don't feel like wasting my full color palettes hehe. I feel happy as well playing with different colors. Something like below? Hmm.. guess I need to do the 'bike workout' on bed to slim down my feet. They are way too fat OMG. 'Sit up' on the bed to build up a bit of my '2 packs' LOL? It's somehow an enjoyable moment, working out on the comfy bed. I am still learning the way to 'breath' in the water. I want to keep my body fit and healthy. *Buff BUff* Self-learning in progress. I am still in progress keeping my hair long, trim my hair twice a month, just to cut off all the damage part which I bleached earlier. I want them to be smooth and silky in the future. My skin is really dry and pores has become bigger like grapes' seed. Putting on moisturizing mask for three times a week. Patting on moisturizing cream. Drink more water to get myself and my skin be in hydrated condition all the time. Products which I used right now are quite aggressive and causing a little inflammation to my skin. I need to discover something much more natural and organic based skincare products, gentle yet effective on my skin. Oh yeah and I gonna share all my beauty resolutions with all the butterflies on Yadah Tea Party! 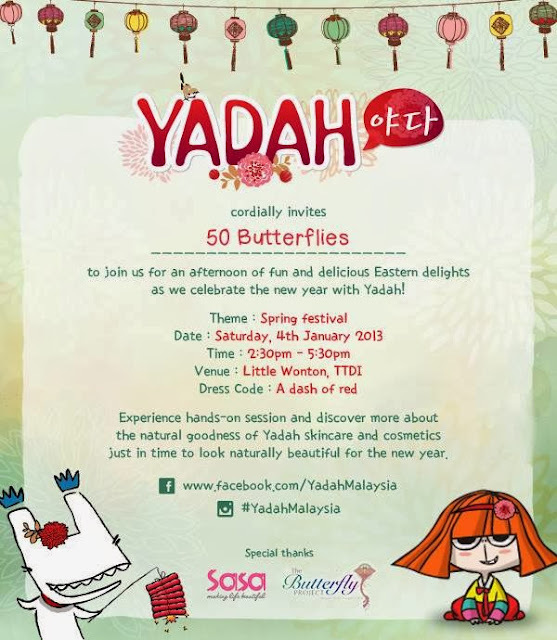 Trying out and get to know more about Yadah's products for a beautiful me in 2014. Come and join us bloggers, share the beauty! A big thanks to TheButterflyProject and YadahMalaysia for hosting this.